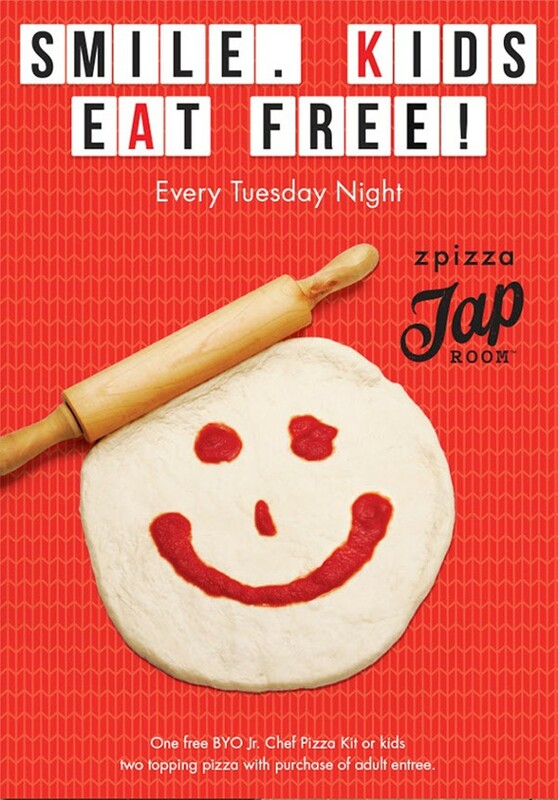 Kids eat free on Tuesdays, 5pm until close! Kids receive a free BYO Jr. 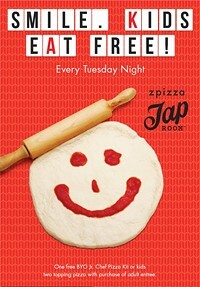 Chef pizza or kids pizza with 2 toppings with the purchase of an adult entree.